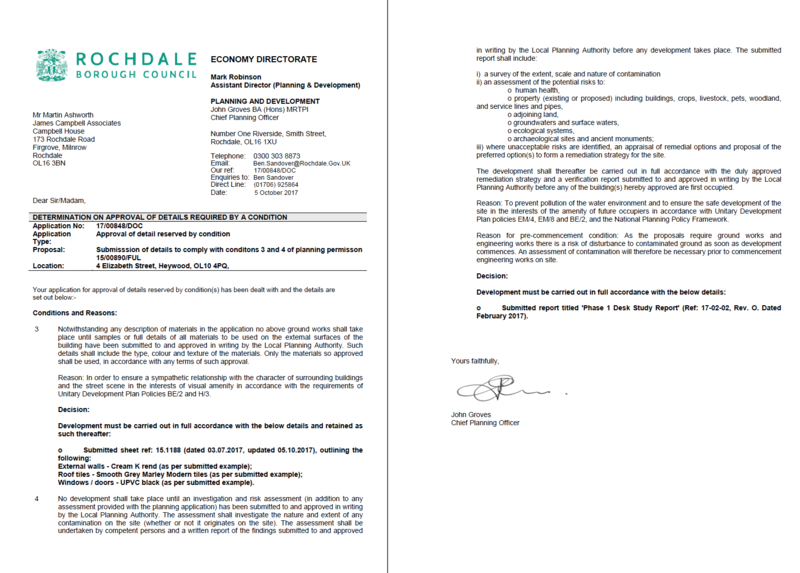 Due to the sensitivity of the proposed development a contaminated land planning condition was attached to the decision notice for the erection of a single dwelling. In order to determine if the site had he potential to be impacted by elevated levels of contamination a Phase I desk study report was required, which Demeter Environmental were commissioned to prepare. The first stage of the report was to review the history of the site using a combination of Ordnance Survey (O.S.) maps, aerial plates, street level imagery and planning records. The O.S maps revealed the site was developed in the late 1800’s when a number of unlabeled buildings were erected, by 1956 three of the buildings were numbered. A residential garage was identified on the aerial plates and the large scale O.S. maps from 1956. A number of in-filled reservoirs and ponds, as well as a set of filter beds were identified within 250m of the site. The geology for the site was given as glaciofluvial deposits underlain by Pennine Middle Coal Measures. Data obtained form the Coal authority indicated the site was not in a ‘Development High Risk Area’. Borehole section sheets for two boreholes within 30m indicated the presence of made ground. 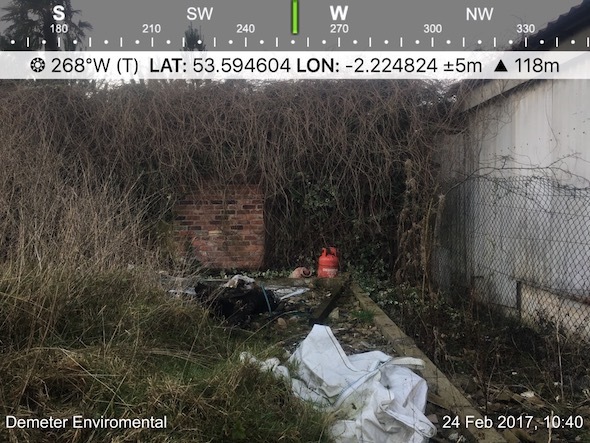 On completion of the desk based assessment a site reconassiance visit was undertaken, which revealed that the site comprised of a garden and overgrown area, the floor slab of the former building (residential garage) was identified. On completion of the walkover survey a qualitative risk assessment was undertaken on all of the potential sources of contamination identified, and it was concluded that the potential for made ground to be present on the site and an in-filled reservoir 140m east posed a potential risk. 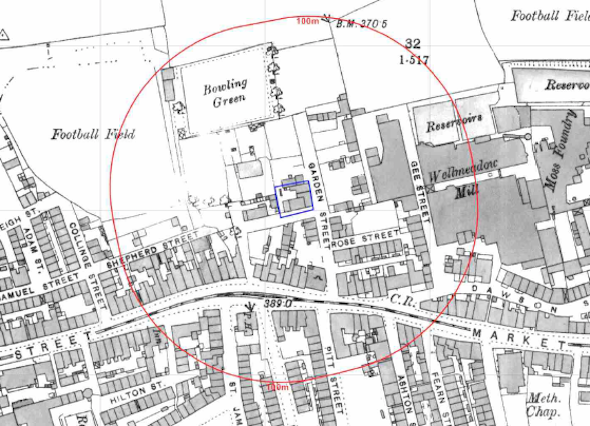 Given the history of the site and the low risk posed by the potential sources, both further intrusive works / ground gas monitoring as well as remediation in lieu f further investigation were proposed. The desk study report was formally submitted with 17/00848/DOC , the memo accepting the recommendations of the report can be accessed here, and the contaminated land planning condition was discharged.